There are many cures for snoring and sleep apnea covered on this site and elsewhere, but exercising your throat muscles to stop or reduce snoring is mostly overlooked. The fact is throat muscle exercises for sleep apnea and snoring can strengthen your throat muscles and thereby reducing or eliminating snoring and sleep apnea. If you think about it, it makes perfect sense. Snoring and sleep apnea is caused when the soft tissues and muscles in your throat relax too much, creating the obstruction that causes these conditions. The throat muscles are actually too weak to keep the airways open. So, what if you can exercise the muscles to make it stronger, then you can reduce and even cure your snoring. Some of these exercises sounds and looks funny, but they work, so don’t worry how you look and just do them. I know how strange this may sound, but singing is great exercise for your throat muscles, so don’t let anyone tell you to stop singing in the shower. Another strange thing, which can also be classified as alternative cures for snoring, is playing the didgeridoo. The didgeridoo is an Australian wind instrument, which has been proven to cure snoring as it exercises and strengthens the throat muscles. Something as simple as chewing gum or repeating the vowels several times per day can also make a huge difference. You need about 30 minutes of exercise per day to really make a difference. Shorter amounts will however also make a great difference. Just like you would when exercising your body; you should start slow and gradually increase the amount of exercise you do per day. Smile! No, not because you just got your pizza delivery; no it is actually good exercise. I am not talking about the kind of smile you give for cameras when you don’t feel like smiling. Seriously, make a big smile and hold it for 30 seconds at a time. Stick your tongue out of your mouth as far as it can go, and hold it there for 30 seconds. A variation of the previous one is to slightly stick your tongue out of your mouth and then swallow several times. Pull your tongue back in your mouth as far as it will go, and hold. Pucker up. Yes that’s right, make your lips into an exaggerated kiss and hold them there for 30 seconds. Gasp in amazement. Open wide as the dentist will say! Open your mouth wide and hold it there for….you guessed it; 30 seconds. At the same time, pull the tongue back and down. Open your mouth as wide as possible and then close your mouth again. Do it 10 times with 3 repeats. Push your lower jaw forward to beyond the upper jaw, and hold it there. A variation of the previous exercise is to move the lower jaw from left to right while your mouth is wide open. Hold 30 seconds on each side. Close your mouth completely and with your head still, try to lower your bottom jaw. You can do this best with almost like a suction motion inside your mouth. Like clenching your tongue. Touch the top of your mouth (palate) with your tongue and slide it from the back to just behind your front teeth. Do it 10 times with 3 repeats. A variation of the previous one is to hold the tip of your tongue at the back of your front teeth and try to open your mouth as wide as possible. Hold it in that position. Sit up straight on a firm chair. Lower your head so that your chin touches your chest, hold it there and swallow. You can also lie on your back and do the same thing. All these exercises above should be repeated 3 times per session, and 3 times per day. ‘Holding exercises’ should be for 30 seconds per exercise. You can of course do less to start with and if it suites you best. Would you rather prefer a structured and pre-designed exercise routine? 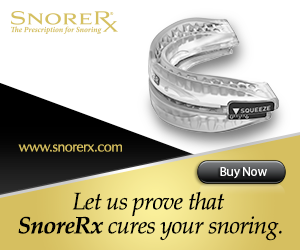 Looking for a program that takes the guesswork out of what works and what doesn’t work for individual types of snorers? Check out Stop Snoring Exercise Program Review for more. I am not going to bore you with detail of why these throat muscle exercises will help and what part of the throat they will help. I can throw out words like larynx, epiglottis, pharynx, and esophagus but I don’t think it is of interest; the main thing I am trying to get across is that the exercises will help if done correctly and regularly. Let me know if you have ever done any exercises for your throat muscles, and if it helped.